Fondant cake decoration is very popular and in fashion, this tool can be used to create fantastic and eye- catching rose flower. How to make cake pops using silicone mold. 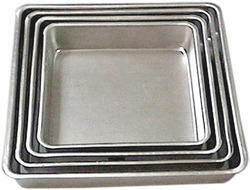 We are counted among the most prestigious manufacturer, supplier and exporter of Baking Moulds Sets for Baking. These products are offered to our customers at industry leading prices to meet their financial constraints. We make sure to offer these products in pristine condition to our customers in appropriate packaging. 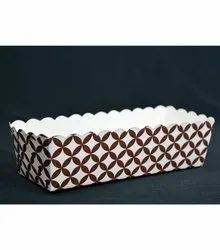 Rolan Cake Mould Code :SN6880 Shipping Fee : Exclude Shipping Fee Dimensions: Width : 227 mm Depth : 76 mm Height : 49 mm Thickness : 0.7 mm Material: Aluminised steel, Silicone. Molds & Trays for bread, bun, rusks, cake, muffins, cookies, biscuits storage box and display trays for pastries etc. - You can now bake cookies that are 23 cm across and 3 cm deep. - That's right, a family sized cookie that is not only amusing to look at but also value for money. We are offering a wide range of Heart shaped Fabricated Cake Molds to our valuable customers. These Heart shaped Fabricated Cake Molds are made of high grade raw material. We offer Heart shaped Fabricated Cake Molds in various design and specification. These Heart shaped Fabricated Cake Molds are provided by us at very reasonable price.